To put into context how brilliant Jitu Rai's achievements have been, the first time the Nepalese-born shooter picked up a gun was when he joined the 11 Gorkha Rifles regiment of Indian Army as a 20-year-old in 2006. It was another two years later that Jitu took up shooting as a sport where he would excel in. Jitu’s journey hasn’t been rosy. The Naib Subedar was sent back twice from the Army Marksman Unit in Mhow for his poor performances before he managed to establish himself in the camp. Jitu Rai. Artwork by Rajan Gaikwad. After a couple of ISSF World Cup appearances in 2013, Jitu burst into the world stage by clinching three World Cup medals in a span of nine days. Jitu won his first World Cup medal at Munich on 11 June with a silver in the 10m Air Pistol event. He then won another silver in the 50m Pistol event a week later before capping it off with a gold in the 10m Air Pistol event in Maribor just two days later. Jitu’s purple patch continued in his first Commonwealth Games appearance at Glasgow in 2014 as he won gold in his favourite 50m pistol event. At the 2014 ISSF World Shooting Championships in Granada Jitu won silver in the 50m event, behind the legendary South Korean Jin Jong-oh. Jitu, however, clinched gold at the Asian Games the same month as Jong-oh finished a disappointing seventh. Jitu also won bronze in the 10m pistol team event with Samaresh Jung and Prakash Nanjappa in Incheon. Following his success over the past year, Jitu was conferred the prestigious Arjuna Award in 2015. Ahead of the 2016 Rio Olympics, Jitu was one of India's top medal prospects. 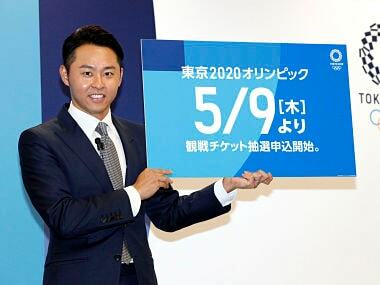 However, the 30-year-old could only manage an 8th-place finish and 14th-place finish in the 10m pistol and 50m pistol events respectively. Jitu’s year went from bad to worse with the Abhinav Bindra-led ISSF Athletes Committee recommending the scrapping of the men’s 50m pistol event, Jitu’s favoured event, along with 50m rifle prone and double trap event to increase gender parity in shooting. Though disappointed with the move, Jitu decided to focus on the 10m air pistol event and has to adjust his technique for the event. He teamed up with Heena Sidhu at the 2017 ISSF World Cup Finals to win the 10m air pistol mixed team event. Jitu finished the year with two bronze medals at the Commonwealth Shooting Championships in the 10m Air Pistol event as well as the 50m pistol event. 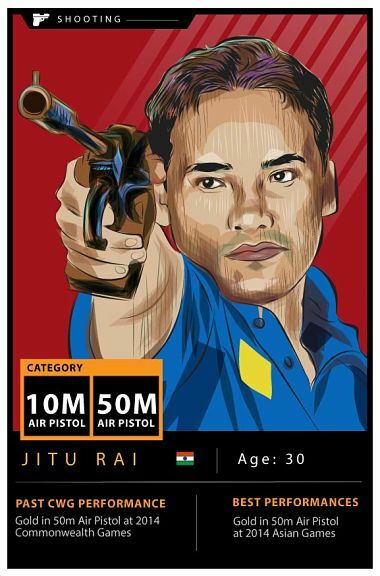 Even though the 50m pistol event has been removed from the Olympic list of events, Jitu has enough experience in the 10m Air Pistol event and is ranked 11th to successfully make the transition from the 50m pistol event ahead of the 2020 Tokyo Olympics. The Commonwealth Games will provide Jitu with the perfect opportunity to test his ability in his weaker event.